Fresh off a victory in the Eternal Search Stakes earlier this month, Joey Gee Thoroughbreds’ three-year-old filly Line of Vision will now set her sights on Saturday’s $100,000 Passing Mood Stakes over seven furlongs on Woodbine’s E.P. Taylor Turf Course. 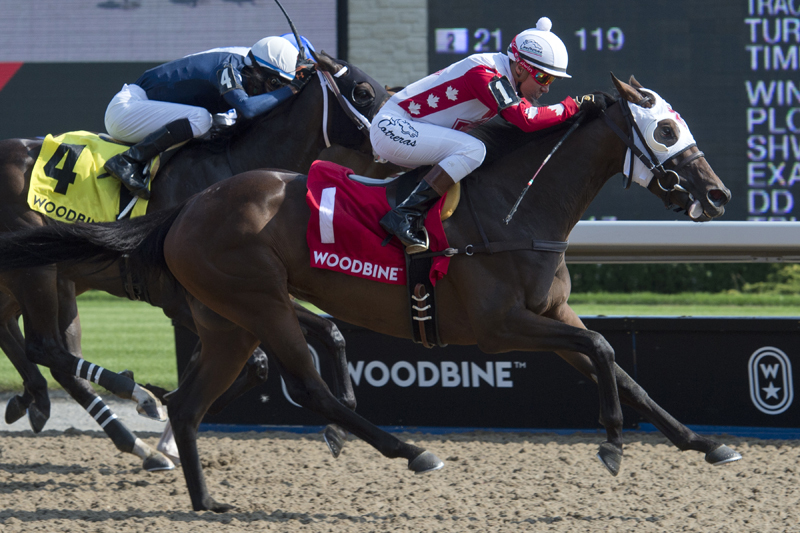 Trained by Andrew Smith, the Court Vision-Gold Lined filly headlines the field of seven Ontario-sired sophomore fillies with $258,000 earned in purses and wins in four of her six career starts, including last year’s six-furlong Victorian Queen Stakes and the South Ocean Stakes over 1-1/16 miles. After a season-debuting, seven-furlong Lady Angela run set her up for victory in the Eternal Search over 1-1/16 miles on August 5, Line of Vision will look to master the turf in the next Ontario Sire Stakes event on the schedule. “She came out of [the Eternal Search Stakes] really well and has worked since then, probably worked her best work ever,” said Smith. “The Passing Mood is seven-eighths on the turf and that’s probably a question mark. Assigned 10 pounds more than her rivals, Line of Vision’s added weight is an added concern for her conditioner, but the small filly boasts a big heart. The Passing Mood field also includes She’s Got Fire and Zestina, both stakes-placed fillies this year; Gosudarina and Without a Doubt, who each finished second in added-money events to Line of Vision during their two-year-old campaigns; as well as the stakes-debuting Airy Fairy and Silent Respect. First race post time for Saturday’s 11-race card is 1 p.m. Below is the complete field listed in post position order for the $100,000 Passing Mood Stakes, which is scheduled as the afternoon’s ninth race.